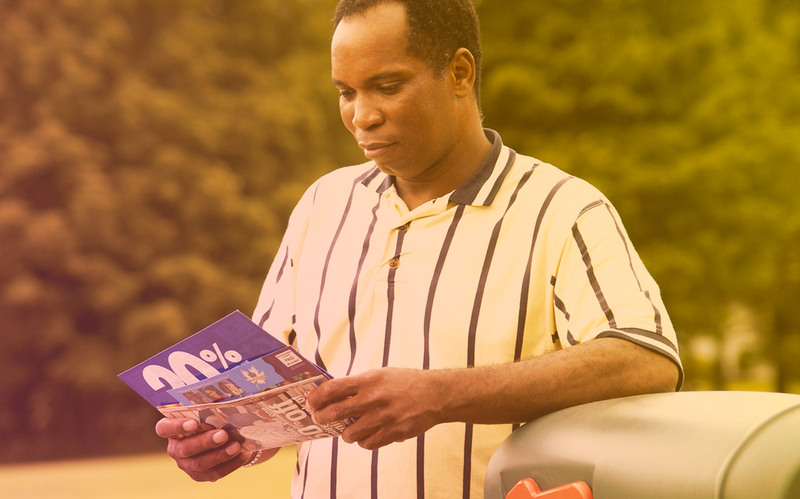 Direct mail campaigns can be profitable. There. I said it. I think you might have even recoiled in disbelief. The notion that in today’s “digital times” direct mail is no longer a viable channel runs rampant. Allow me to tell you how health clubs like yours are profiting from direct mail campaigns. The process begins and ends with data. Leverage the wonders of technology and all the information that is collected about each of us all day, every day. Smart marketers are tapping into this wealth of available data to understand who their next best members are. How this translates to profitability is simple. Consider for a moment the traditional approach to direct mail campaigns. Terms like “carpet bombing”, “shot-gun” and “blanketing” areas rule. The more the better is the philosophy and so, clubs carve out an affordable spend based on a specified radius from the club and (here’s another one), “spray and pray”. No thought is given to the life-stage of these households, nor their propensity to engage in the services your club offers. Quantity, unit cost and all-in spend are given highest priority. In this practice, return on investment is determined by loose matching methods that attribute conversions by address only. No consideration is given to which member of a household joins, and whether it was even the addressee who joined. It’s simply a statistic with no real substance. Member retention is also impacted by this old school approach as the quality of the new member hasn’t been vetted for a true fit with your club’s culture and services. It’s a body in the door. Period. Ultimately this method results in significant waste. Time and money is invested in reaching a large audience that you know nothing about. Conversely, the data-driven approach uses key elements about every household to first identify those with the demographic, psychographic and transactional buying habits that align with your brand and culture. Persona-based creative and messaging is delivered to each household to improve the chances of connecting and eliciting the desired response. Quantity, unit cost and all-in spend are lessor factors because the number of targets is reduced to the ideal. Return on investment is determined by tight matching methods that attribute conversions by full name and address. Only when the addressee joins, is it considered a direct match. Additional new members in the household are a bonus. Factor in club averages for joining fees, monthly membership dues and retention rates to the tight matching process and true ROI can be calculated for each campaign and potential profit is established. Member retention is positively impacted because the club’s marketing messages reach nonmembers who have a proven interest in what your brand stands for, while also reducing marketing spend due to its specific nature. As you can see, the net result of practicing smart marketing tactics are many. I encourage you to learn more about it and how your club can profitably enter - or re-enter the direct mail arena.